Too Cool T-shirt Quilts® has a referral program that allows you to earn $35 towards the cost of a future T-shirt quilt for each customer whom you refer to us. You can refer as many customers to us as you can. You can even earn enough through referrals to bring the cost of your next T-shirt quilt down to zero! You encourage everyone you know to have a Too Cool T-shirt Quilt® made. When the person you refer sends in their T-shirts to us, they must enter your name on their order form. When we receive their T-shirts and paperwork, we enter their name on your contact file. We will then send you an e-mail informing you that we have received a referral from you. 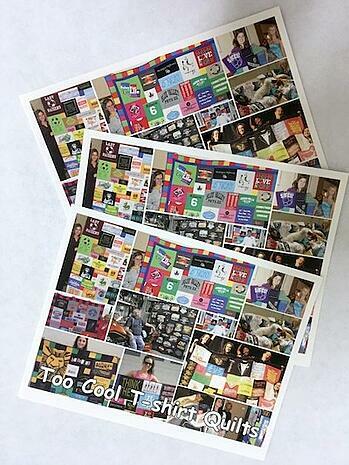 Each referral is worth $35 off the cost of your next Too Cool T-shirt Quilt®. The referral credits do not expire and can be combined so you can earn enough that your next T-shirt quilt is discounted to zero. 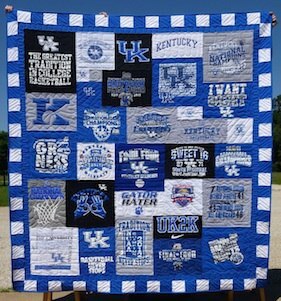 You don’t have to already have a T-shirt quilt made by Too Cool T-shirt Quilts® – you can collect referrals and have the price of your first T-shirt quilt discounted. Make sure you are signed up to receive our newsletter. 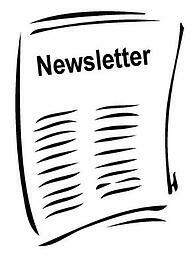 If you already receive our monthly newsletter you are set. This is how we will track how many referrals you accrue. Click here to sign up. Start or continue telling everyone you know or meet to have a Too Cool T-shirt Quilt® made. Tell your referral to put your name on their order form on the line labeled Who Referred You. Save our return confirmation e-mails so you can track how many people you have referred. You are always welcome to call to ask how many referrals you have accumulated. Do You Need Marketing Materials? We are more than happy to help you in your marketing process. Click here to have us send you more postcards. Here is a link to the Too Cool T-shirt Quilt® web site: www.toocooltshirtquilts.com. You may copy and paste the link on your Facebook page, on a website or in a blog. Links are good! If you have an event at which you would like to show off your Too Cool T-shirt Quilt® and obtain referrals, we are happy to help guide you in that process. Is only valid when your referral actually has us make their T-shirt Quilt. We are excited to team up with you to spread the word about how cool a Too Cool T-shirt Quilt® is. Please e-mail us know if you have any questions.